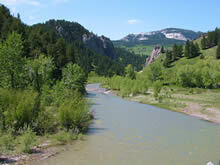 MFO operates the most unique and specialized guide service in central Montana. We have great guides and fantastic fishing, come join us on a custom trip built just for you. Outfitter #17209. MFO operates the most unique and specialized guide service in central Montana. Outfitter #17209. The rivers in central Montana flow through a country that is markedly different than found elsewhere in Montana. 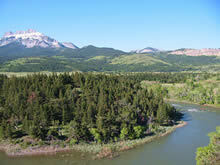 Most of the rivers begin high in the mountains and then spill out into the vast sweep of prairie of central Montana. 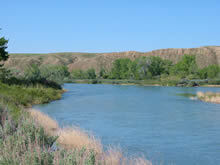 The rivers in central Montana also tend to be quite long and flow through very remote and isolated countryside. 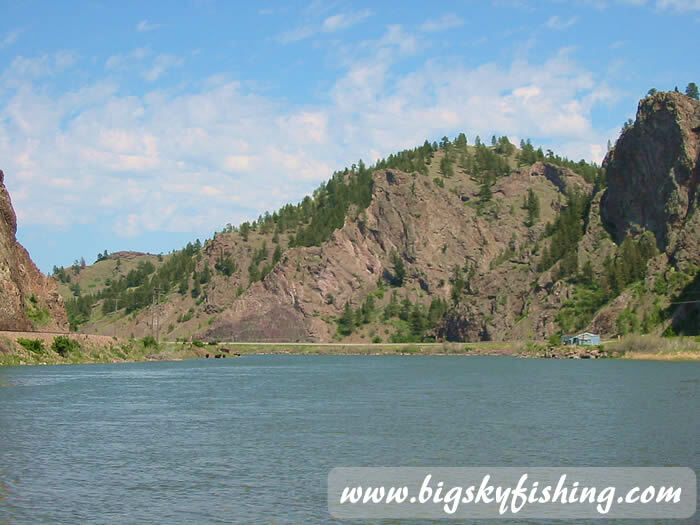 Instead, other than a few trout-fishing pockets located near tributary inlets and dams, the rivers in eastern Montana are home to various warm water species of fish, such as walleye, catfish and smallmouth bass. Fishing pressure among the rivers in Central Montana varies considerably. 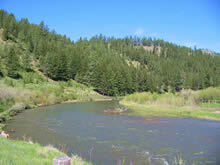 Some rivers, such as the Missouri River and the Smith River, are internationally known as blue-ribbon trout streams and receive significant fly fishing pressure. 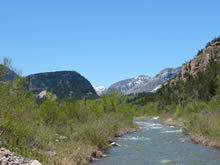 Meanwhile, others pristine rivers such as the upper Dearborn River, the upper Teton River and the upper Sun River receive little fly fishing pressure other than from the locals. As a result, visiting anglers in search of solitude can find it on many Central Montana rivers—frequently in a beautiful, pristine setting. 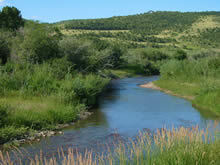 The quality of the fly fishing varies considerably among the various rivers in Central Montana. While all the rivers in the Central Montana offer excellent fly fishing, it is imperative that any visiting angler understands that only portions of each river offer quality trout fishing. As all the rivers in central Montana eventually spill out into the prairie, where their flows slow down and the water warms to lethal levels, the best trout fishing will generally be found in or near the mountains. 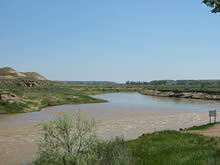 With few exceptions, the rivers in central Montana tend to flow through very isolated and sparsely populated terrain. The result is that services tend to be few and far between. An angler who will be fly fishing these rivers should come prepared for all occasions, as outside of the handful of major cities of Great Falls and Helena, few shopping or lodging opportunities are found. 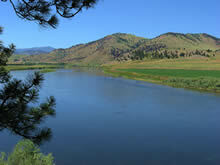 Additionally, the distances between the rivers in central Montana is significant, making drives between the rivers a time consuming proposition. Overall, a visit to the rivers of central Montana by anglers seeking wild trout on a Montana fly fishing trip is well worth the time and effort. The quality of the fly fishing, combined with the diversity of the rivers, will make any visit to fish the rivers of central Montana a worthwhile experience. 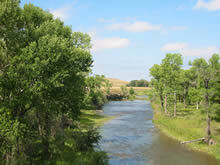 Direct links to view the photo galleries for various rivers in Central Montana.